When Ford Motor Company adopted an eight hour work day in the early 1900s, it came at a time where the average workweek for manufacturing employees was 100 hours per week. Although pushes for a more reasonable workday had been around since the 1860s, it wasn’t until the Fair Labor Standards Act was amended in 1940 that the workweek was limited to 40 hours by Federal Law. This represented a huge step forward for workers’ rights across the country during a period of modernization. Similarly, today we are in a new age of technological revolution. Advances in technology and connectivity are enhancing the way we conduct business and increasing efficiency. Despite the changing face of the economy, we are stuck with dated rules that were enacted almost 80 years ago. 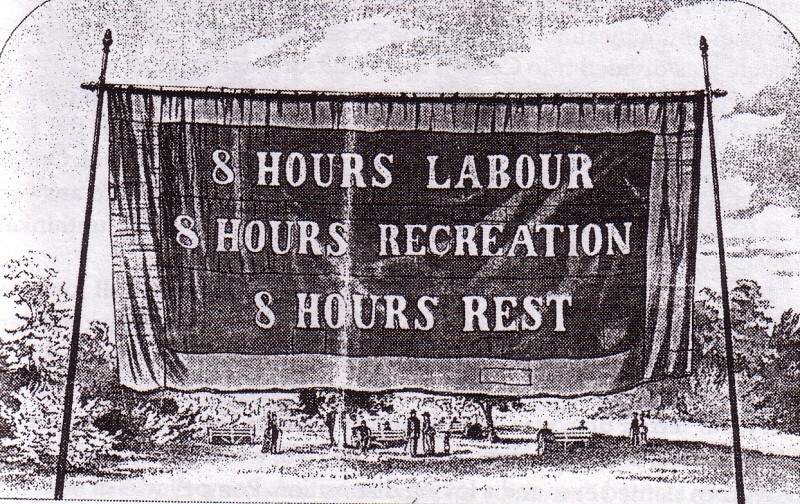 A lot has changed in that time span, and for this reason, it is time to kill the 40-hour work week. Here’s why. The internet, smart phones, and other technology have shaken up the economy more so than almost any other advancement to this point. We can instantly send messages and make calls to almost anywhere on the planet while also having the power of a supercomputer in our pocket. Because of this, the average worker today has the ability to get more done in an hour than they could have in a full day even 30 years ago. Although humans have the capacity for more productivity, it is a common misconception that more hours worked translate to more work done. This logic is not only flawed, but the reverse is true. A 2014 study by Stanford University found little correlation between hours worked and productivity, but more importantly, the study found that excessive periods of work causes productivity to decline. Additionally, there is the concept of Parkinson’s Law. The adage that states, “work expands so as to fill the time available for its completion.” Although a simple observation and not exact science, this applies directly to the concept of strict work day hours. For example, according to the Bureau of Labor Statistics, the average American works around 8.8 hours every day. However, a study of 2,000 workers in the United Kingdom revealed that they were only productive for about two hours and 53 minutes every day. Assuming that the amount of time invested in a project or in a day of work equals the amount of work done is just plain foolish. In addition to the point above, work flow is not always constant, yet we assign a strict amount of required time in a day or week. It’s true that this can differ between industries. For example, there are professions like accountants during tax season who are running up against deadlines or doctors who are full booked with patients. There are also client-facing customer service positions which require availability by phone or in person for certain periods. However, this is not the case for all workers. In today’s economy, many employees sit behind computers and are chained to their desks, regardless of how quickly they finish their tasks or what their workload looks like. Not only does this force employees to waste time if they finish early, but it provides no incentive to be more productive since there is no reward for finishing ahead of schedule. Too many working hours takes both a mental and physical toll on employees. Long hours, stress, and lack of sleep are all top contributors to employee burnout. In severe cases, overworked employees experience depression and even cognitive decline. According to injury lawyer Alex Fiol, the length of the work day can also have a profound impact on your physical health and contribute to the millions of work injuries and illnesses that employees suffer every year. The overabundance of sedentary work can lead to heart problems, high blood pressure, bone and muscle pain,poor posture, obesity, and eye strain to name a few. Jobs that require standing all day are not much better, as employees who are on their feet for five hours a day or more report increased back pain and musculoskeletal issues. Although often resilient, the human body and mind can be quite fragile if not maintained properly. Although this is only one test, it is not farfetched to think that a shorter work day could have positive effects. If workers can accomplish the same amount of work or even more in a shorter day, then they should be rewarded with more time in between shifts. It is not hard to see that the current system is ineffective. We are more productive than ever before yet still adhere to a schedule that was chosen at random almost a century ago. The current system does not incentivize productivity and in fact encourages the opposite, with employees spending money or finding distractions to fill their down time. On top of that, it’s poor for our health and we’ve already seen examples of how a shorter day could provide benefits in every aspect. We don’t need any more evidence. Much like Henry Ford disrupted the norm over 100 years ago, we are long overdue for a similar, modern change. Rob graduated from UC San Diego with a degree in Political Science and a minor in History. When not writing, he enjoys being outdoors. The Best Tech Employees Work Insane Hours … Or Do They?